South Asia has been in the grip of sectarian violence since fairly long. During last three decades and more particularly during the last decade this violence has been intensifying in degree and spread. It was sad news to hear that the Christian Community of Joseph Colony, Badami Bagh Lahore was the victim of one such violence recently (March 2013). In this violence 178 houses of the low-income community, as well as shops and three churches were looted and burnt to ashes. The local Pastor was attacked and the father of Savan Masih, the youth falsely accused of blasphemy, was beaten up and subsequently arrested. In Pakistan both non Muslims and some Muslim sects have been harassed on religious grounds. As such the major victims of such violence are the sects of Islam, Shias and Ahmadis. The Ahmadis has been declared as non Muslims through an act of Parliament. As such Shias, Barelvis, Sufis, Ahmadis, Christians, Sikhs and Hindus are the religious minorities who have facing the wrath of dominant communal forces in Pakistan. At the time of Partition, creation of Pakistan, the percentage of religious minorities was close to 23% and gradually it declined. The foundation of communal violence was very much there in the social thinking which regarded Pakistan as a Muslim state. Non Muslim minorities and some sets of Islam has been the victim of this violence. This violence picked up for the worse, during Zia ul Haq regime, when the Khakis and beard-cap came into a firm embrace, an alliance, which mutually boosted the power of both these groups. In the decade of 1980s the other factor which contributed to the rise in divisive thinking was the setting up of Madrassas, richly funded by United States for its goal of control over oil resources, for countering the Soviet occupation in Afghanistan. With these Madrassas, the US-Saudi support strengthened the Salafi, Wahabi version of Islam and this not only targeted the non Muslims but also the Shias and Ahmadis, the former being a substantial in number. The large number of Christians there belongs to scavenger castes. Not only they are looked down upon, and most of the times the aim of violence is to dispose them of their lands. This is a very vulnerable social group. The blasphemy law has come in handy for attacking these communities. One recalls the case of Asea Bibi, who is in jail for her alleged remarks against Prophet Mohammad. She has been sentenced to death. Her appeal is pending in the Punjab High Court. When Salmaan Taseer, the former Governor of Punjab, spoke about reformation of the blasphemy laws of Pakistan, he was killed by a member of his own security guard. Every sectarian force develops its own tools and pretexts for attacking the minorities. Asea had fetched some water from a well, and a Muslim crowd chided her for “polluting” the water since she was a “dirty (low caste) Christian”. The twist of arguments led to her death sentence. Similarly in Aug. 2012, Rimsah Masih, the young, mentally challenged 14 year old girl was arrested for burning the pages from the Koran. And now this mob of Muslims, which was coming out from the Masjid, broke into and destroyed the belongings of several Christian homes, because, as alleged by the one Muslim man who had a argument with one Christian man, the Christian had blasphemed against Islam. Quick mob justice, punish the community for the alleged work of one! The pretexts notwithstanding the pattern are similar. The Muslim communal groups have been on the rise since the Zia regime. The degree of intensity of their boldness can be gauzed from the fact that they openly take the credit for such violent acts. This to some extent shows their clout and acceptability in the system. violence in early 1980s began with violence against dalits in 1981 and 1986. In Bangla Desh and Pakistan the non Muslims are targeted and differing sects of Muslims are also subject to this violence. In Pakistan, it seems the minority sects of Muslim and Christian and Hindus seem to be sailing in the same boat. It will be infesting to note that unlike the perceptions prevailing here that all Muslims are anti Hindus and supporting violence what came to be noticed in recent anti minority violence was that the condemnation of these attacks against religious minorities by the secular groups in Pakistan. The case in point is the recent anti Christian violence in Lahore, the people to condemn this have been the activists from Forum for Secular Pakistan, articulating the wish for a secular state in Pakistan and upholding the secular values in that country. 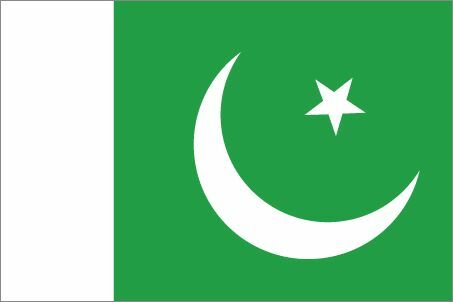 To condemn this attack in Lahore the Jamia community in Delhi organized a candle vigil and Khudai Khidmatgars issued strong statements condemning the violence against Christians n Pakistan, Many other groups have also added to the voices against such an insane act of violence. While condemning one type of violence, the criticism dished forward is ‘why you criticize only this communalism’? As such the comments and criticism of democratic elements are directed against the acts which take place irrespective of the religion of offenders and victims. The secular groups and commentators who raise their voices against violence are dubbed as being against being this or that religion, being one sided and what not? The real issue is to be against all sort of targeting of religious minorities and intra religion groups. We seem to be in a downward phase of history where the communal elements are getting more powerful through the dastardly violence against the vulnerable groups, more often poor of the community, but not necessarily so.